When is spinach done for the season? 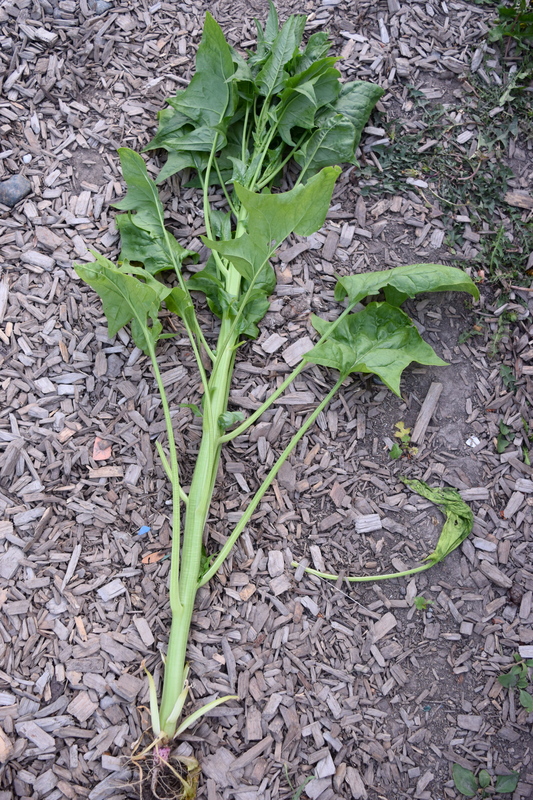 Suddenly m y spinach stalks are 1 inch thick and 3 feet high and the leaves are pointy. Sadly, this means the spinach has come to an end for the season. Even more telling is the presence of a little flower bloom in the center of the plant. When it starts to get too hot, the spinach will quickly sprout up and start to turn to seed. 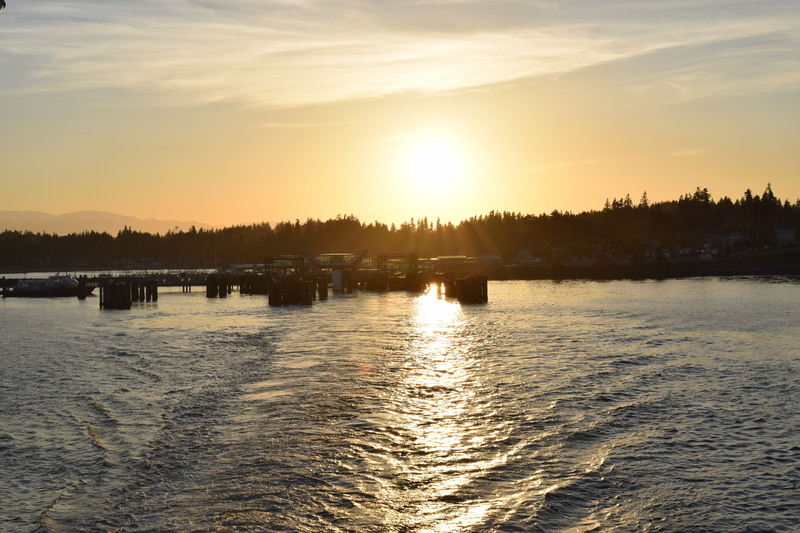 This year it happened even faster in the Pacific Northwest than it usually does. Hopefully that means you started harvesting early and often to get the most of your plants. I cut the remaining spinach leaves for my final harvest and pulled the plants out of the ground. Now what should I plant? 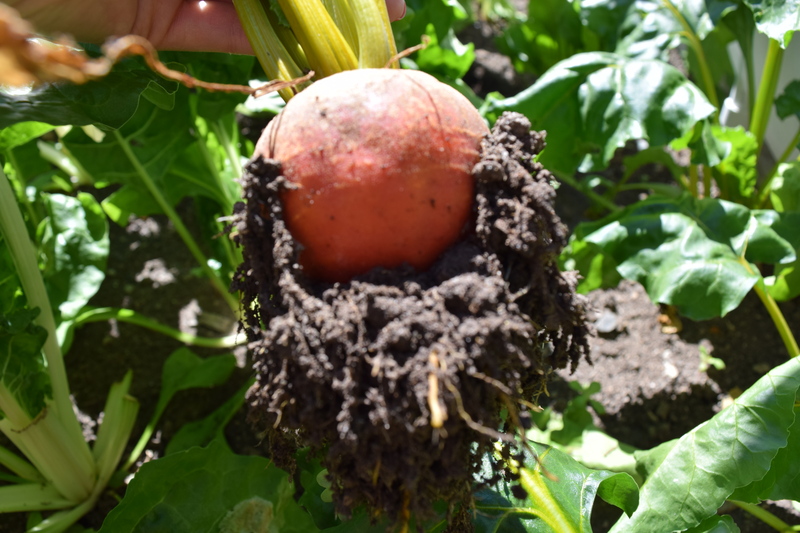 Late June is a good time to seed carrots, beets, beans, and lettuce. Take inventory of your garden and what other vegetables might be coming to an end so you know the space you have to work with. I know that additional space will be opening up in my beds as soon as I am finished harvesting my beets and current lettuce. Since carrots seem to take longer than beets and lettuce to be ready to harvest, I will use some of this square footage for carrots and some of it for lettuce (because I can never get enough lettuce). Before planting your seeds, be sure to fertilize your soil because this is the key to delicious and nutritious vegetables. Water often and start the summer growing season! Tip of the day: If you love Spinach, like I do, get ready to seed more in August for spinach in October. My arugula has grown large and in charge and now it is blooming, but there are still arugula leaves to be harvested. So now what do I do? The flowers mean that the arugula is turning to seed, and the the leaves taste stronger and even more spicy. You can leave the arugula plant in the ground and let it turn to seed. Or you can pull it out and plant something new. In my garden, every square foot is sacred so I decided to cut the final leaves and pulled out the arugula plants. June is an ideal time to plant green beans, which I love, so I fertilized the soil and planted green bean bush seeds. The next best time to plant arugula in the Pacific Northwest is September. If you love arugula, plan to seed in September when it will enjoy the cooler months of the Fall. This winter I was checking out at the grocery store and the Checker said “wow, I see a lot of Kal e, but I never see people buy swiss chard. What do you do with this?” Good question. I first started buying swiss chard to put into green smoothies. 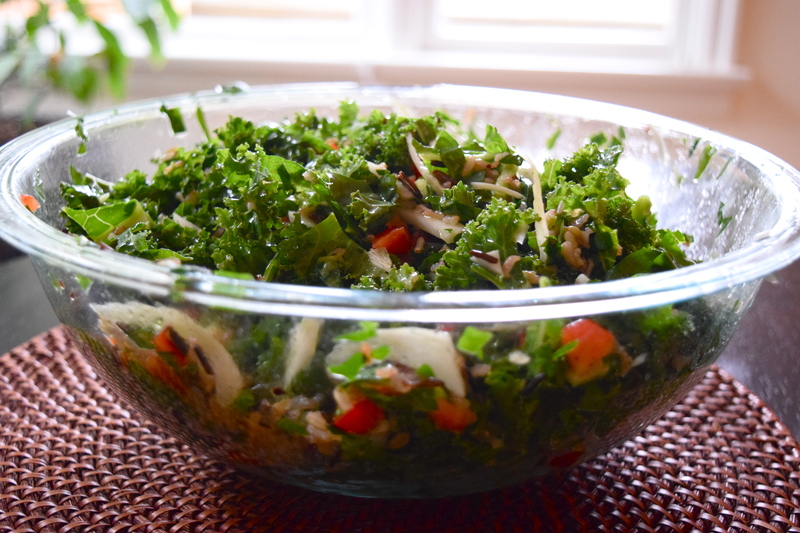 It is a fairly mild green that is rich in nutrients, specifically vitamins A, K, and C and even has fiber and protein. Now that I am growing it in the garden, I have a lot, more than I need for just smoothies. 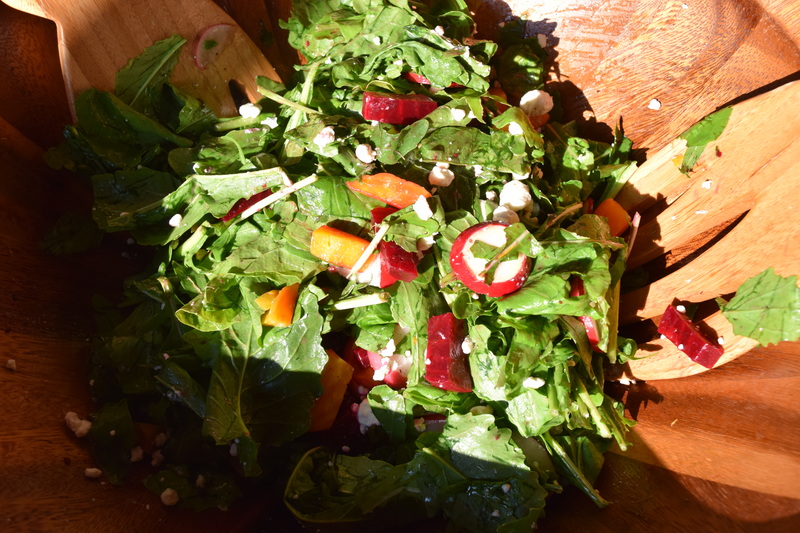 So what else can you make with swiss chard? One of the easiest recipes is to saute swiss chard (I will also add some of my spinach) with garlic, olive oil, and a little lemon. It is so simple and delicious. Pair it with a garden burger and you have a yummy, healthy, quick week day dinner. includes a ton of greens and wild rice. You can make a big batch and take it for lunches all week long. Feel free to add some garbanzo beans for extra protein. One of my all time favorite farmers markets is the Port Townsend market, located on the Olympic Peninsula. Not only is it full of fruits, veggies, and flowers but also includes fresh bakery and a delicious salmon sandwich or in my husband’s case, spicy egg cheese bagel sandwich. 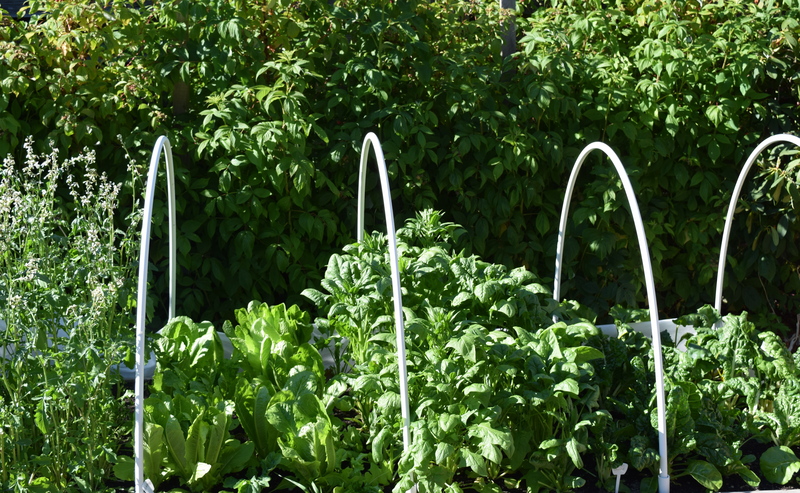 Grow lettuce, spinach, arugula, and other greens. It is well worth the investment to plant in your garden in early spring. Once you get these greens seeded and started, you will have an abundance and save $4 every time you harvest a bag full. Make an herb pot. He rbs can be really expensive when you have to buy a bunch at the grocery store, and you most likely don’t need to use the entire bunch you have to buy. I saw this great I came across this pot of herbs and it reminded me that you only need a pot of some of the key herbs you use – chives, parsley, thyme, sage, cilantro, and possibly some basil and mint. Grow flowers. 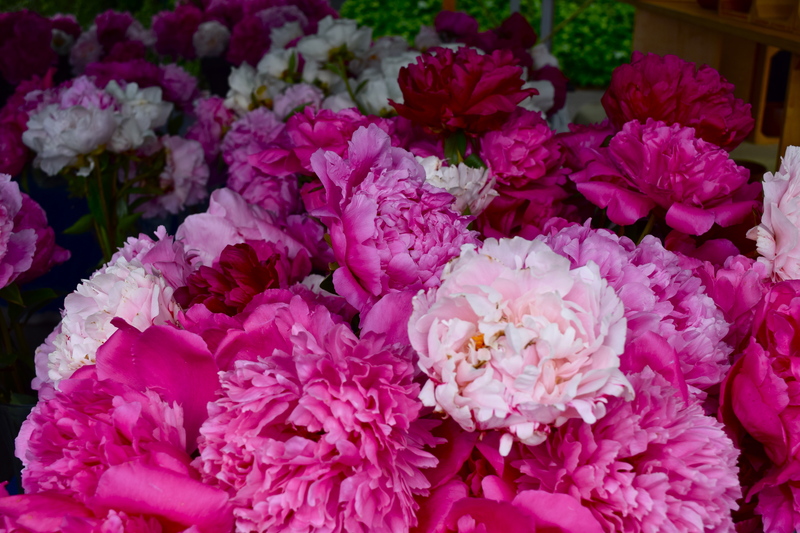 I focus a lot on fruits and vegetables, but be sure to get some flowers started in the rest of your yard – roses, peonies, dahlias, gladiolas. Don’t get me wrong, the farmers market is definitely the place to buy a bouquet. For dahlias and gladiolas, just plop bulbs around the yard in early spring. Not everything you seed or start works. And the market is the perfect place to buy vegetable starts. I’m all about growing everything from seed, but sometimes the seeds just don’t sprout or make it. I finally accepted that my pepper starts were not going to make it, so we purchased pepper starts that are much further along. I also think basil can be challenging, so bought a few starts of basil. Then there are the veggies that you miss the timeline on starting from seed and if you want them, need to be them from the store already started. We love snap peas and missed the window to seed them in the ground, so picked up a few pea starters. The market is a great place to verify what vegetables and fruit should look like when they are ready to harvest. My carrots are quickly growing and will be ready to harvest soon. It was great to see what harvested carrots look like at the market so that I can better understand when I should pull mine out of the ground. Find something new to try growing. I was reminded that you can grow bok choy in the NW and would like to try cucumbers and mustard greens, all things I also like to eat. Discover something new. I learned about phacelia, a plant that is loved by pollinating, beneficial insects, including honeybees. 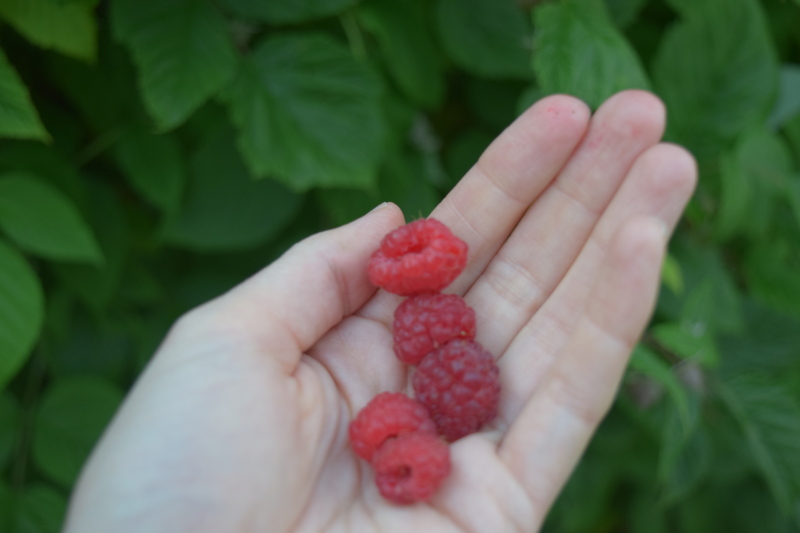 As you may know, there is a ho neybee shortage and without honeybees our fruit and large portion of our food system will not be pollinated and therefore not develop. Consider planting flowers like phacelia to help save the honeybees. 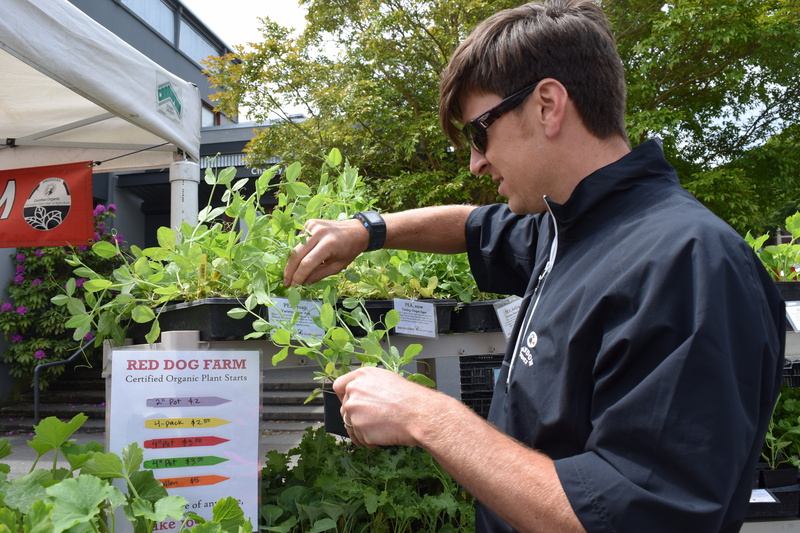 There are farmers markets all summer long, go check one out and share what you learn! This post is a continuation from the post Fertilizer for vegetables by my guest blog writer, Rob. Now let’s get started. Why would you make homemade fertilizer? The quick answer is it’s cheaper than buying organic fertilizer. The second answer is it’s formulated to work best with your soil. Ideally you want to test your soil to find out the ratings of the NPK already in your soil. In addition to the NPK rating, a soil test will tell you the Ph of your soil. This is important because if your Ph is too high, it will actually restrict the release of the NPK nutrients. In other words you’ll spend good money and intentions fertilizing your garden and the darn soil’s Ph will lock up the crown jewels! 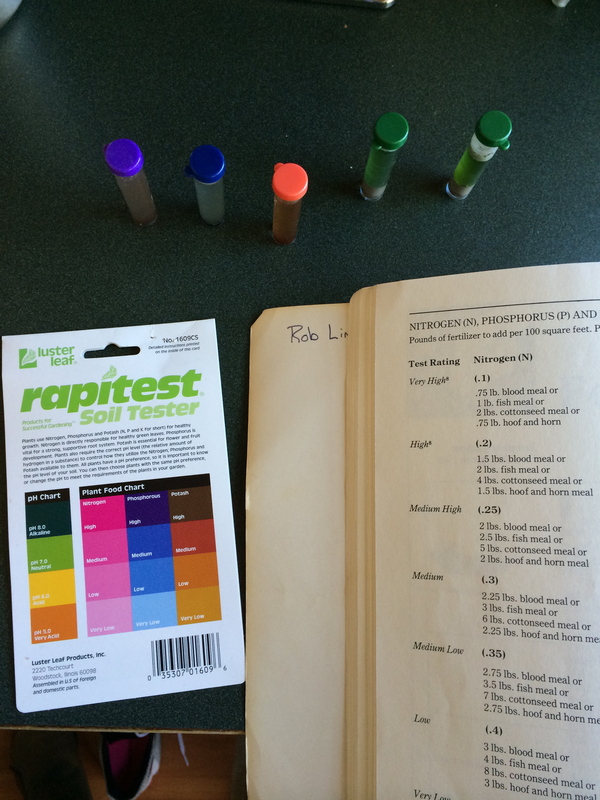 An easy, low cost soil test can be purchased from your local hardware and garden store. Better yet, send a sample of your soil to the local county extension office and they will give you a real thorough analysis. Once you know your Ph is in acceptable range (the soil kit should tell you if it is) and you know how high or low your soil is in the different NPK ranges, you can formulate a fertilizer that is right for your soil. Yes, you the Master of Your Garden can be in control! What goes into creating the fertilizer? I reference the book How to Grow More Vegetables by John Jeavons to find out what percentages of Nitrogen, Phosphorous, and Potassium are needed, based on the results of the soil test, to make a custom fertilizer. Nitrogen comes in blood meal, fish meal, or cottonseed meal. Phosphorous in bone meal or phosphate rock. Potassium in kelp mea, greensand, or crushed granite. Once you know what you need, shop around for bulk amounts of those nutrients, in any of those forms. You will usually find 10, 25 or even 50 pound bags of these nutrients are quite affordable at local farm and feed stores. Once you buy your ingredients get a nice size bucket and simply weigh out each ingredient to fit the percentages that you need for your custom fertilizer blend. Mix the ingredients thoroughly using a big mixing stick or motorized paint mixer. I have a blade that digs holes for bulbs that I put on my drill and it mixes the ingredients really well! You’ll have a great supply of fertilizer and the bulk ingredients you have will last you for lots of gardening seasons. You might want to run a soil test every year to see if you have to adjust your custom mix, but I always seem to need the same mix every year.